Life is especially fast when you have children, and it can be difficult to keep up with the ever-changing patterns of their lives. One minute, you’re planning their diaper-changing area, and the next, you’re planning their study area. Yes, life is so very fast. 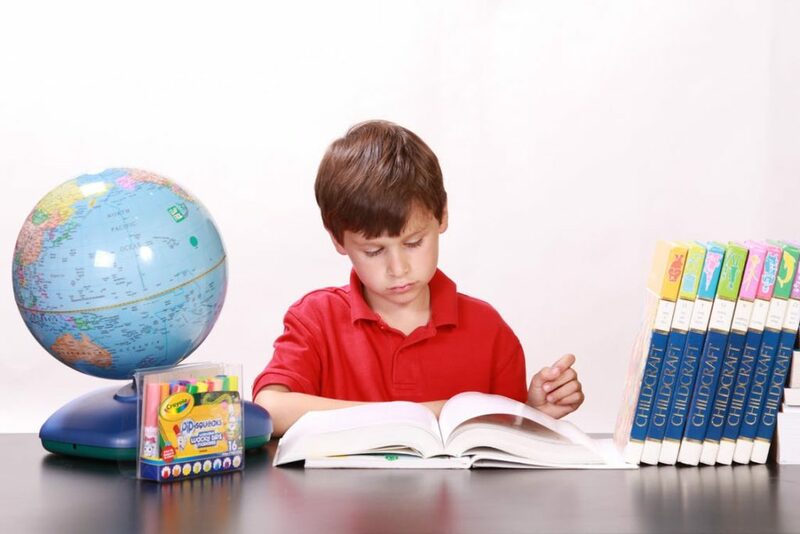 As with most things for your children, the study area is something to be carefully considered. What will clear their mind and bring them the focus that they need? What will motivate them to try their hardest and do their best? The answers to these questions will be as different as the child that they represent. Even within the same family, what works for one will not necessarily work for another. One element that stretches across every child’s personality type, however, is that of organization. Organization is directly correlated with learning performance: the better organized your child is, the better their rate of learning. No matter which design you choose for your child’s study space, make sure that it begins organized and that your children keep it organized. They might not like this in the beginning, but it is a skill that will be invaluable in the future. Make each child’s study area their own. What is each child most interested in? Do they have a favorite sport or TV show? Are they artistic? Do they like video games? You get the idea. Whatever they are most drawn to, make this the theme for their study area. It will certainly draw them to their study space more easily, but be sure to find that balance between enticing and distracting. You want the place that they learn in to draw them in physically but not take them away from their work mentally. Believe it or not, certain shades of color will help to promote studying, while others may actually hinder it. Colors can affect your child’s mood. Blue and green, for example, can bring a sense of calm and tranquility, whereas red and yellow can help to stimulate and energize. For a child that tends toward being more high-strung than not, a nice calming hue of blue will set the right environment, for example. On the other hand, if the idea of mathematics makes your child sleepy, you might want to go for the red. According to the US Department of Education, natural lighting can improve educational performance. A study has revealed that students exposed to natural lighting had a 20% improved learning rate in math and a 26% improved learning rate in English. When you are planning your children’s study area, keep in mind that it is best to situate them in a place where they are exposed to plenty of natural light. Worried about their distraction levels that can come with being near a window? Installing DIY shutters will help to keep your children’s study area at a comfortable temperature while also allowing you to help control both how bright the room gets and how focused each child remains while the whole world awaits just outside! If you’re not working with a lot of space, keep your children’s study materials on a rolling study cart. Once study time is over, the cart can easily be rolled to the nearest closet or corner, giving you the space back that you need for all those other day-to-day activities. The Murphy desk is another great idea for those that do not have a lot of space. Just like the Murphy bed, these desks actually fold out from the wall. There are so many varieties of DIY Murphy desks out there that you can surely find one to suit each child’s interests and needs. Not only will they be fun for them to use, but they also save on enormous amounts of space! There’s much to be considered when designing a study area for your children, but keep in mind that, much like everything else in their lives, this area will need to transform with them over time. While they may have their themed study area chosen for now, make sure that the base elements of this space will stand the test of both time and their interests. Themes are easy to replace, but you should not need to change that coat of paint every time their favorite TV show changes. Keep the base elements simple and timeless, and let yourself (and your children) have fun with the space!